Blue ear disease has spread among pig herds in 13 districts in Quang Nam and Quang Tri Provinces while rodents are ravaging rice fields in Quang Tri and Thua Thien-Hue Provinces in the central region. 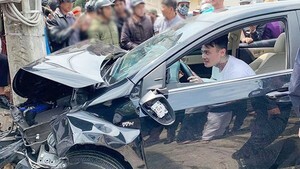 Trieu Dong Commune of Trieu Phong District in Quang Tri Province is the worst hit. 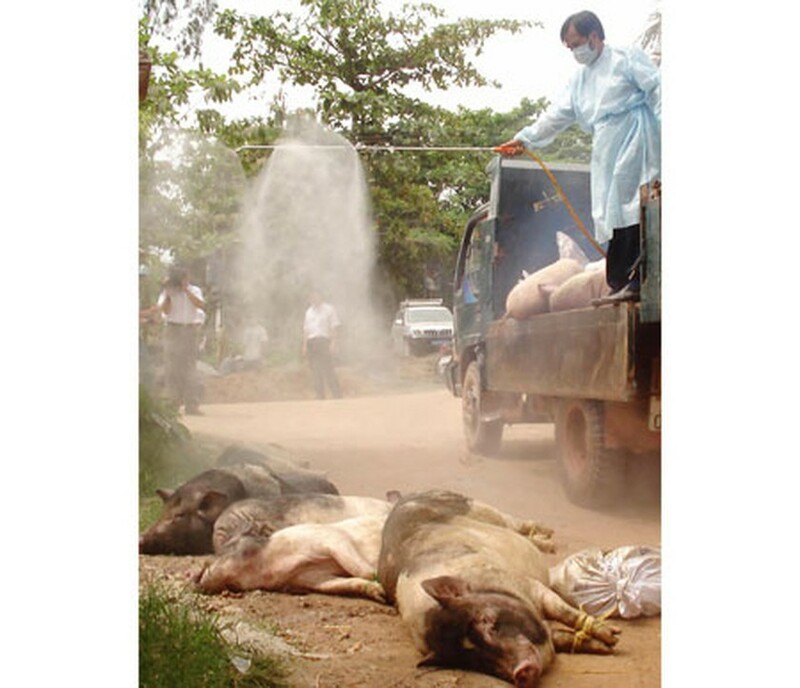 Le Canh Tuong, chairman of the People’s Committee in Trieu Dong Commune, said that 268 pigs have been infected with the blue ear disease so far and 41 have already been exhumed. Nguyen Van Bai, director of the Department of Agriculture and Rural Department in the province, said that the blue ear disease is now spreading to Quang Tri Town and Hai Lang District. Authorized organs in the province have rushed to vaccinate 250,000 pigs against the disease, and are guiding residents to prevent and cope with it. They have also destroyed infected pigs, sprayed disinfectants and banned slaughter, transport and trade of pigs and pig products in disease hit areas. The basic reason for this outbreak is because residents bought pigs of unclear origin to breed, which then died and transmitted the blue ear disease to other pigs in theirs and surrounding farms. The People’s Committee in Quang Tri Province has spent another VND1.2 billion (US$57,000) to purchase vaccines to tackle the disease. Meantime, rodents are ravaging rice fields in Quang Tri and Thua Thien-Hue Provinces. Prior to start of the winter-spring crop, Thua Thien-Hue Province had launched a campaign to kill 100,000 rats, while Quang Tri Province wiped out 119,600 by laying traps or using rat poison. However, they have once again rejuvenated and multiplied far too quickly. Tran Van Tan, deputy head of the Department of Plant Protection in Quang Tri Province, said that rats have multiplied far too rapidly. This is partly due to poor flooding last year, creating conducive conditions for rats to breed.